La Biosthetique Color is famous for its beautiful shine and healthy feeling using soothing Chamomile, Aloe Vera and Coconut oil. Our well trained stylists offer limitless possibilities for your color magic. La Biosthetique’s, “Tint & Tone Advanced Color System” is based on a unique four in one philosophy. 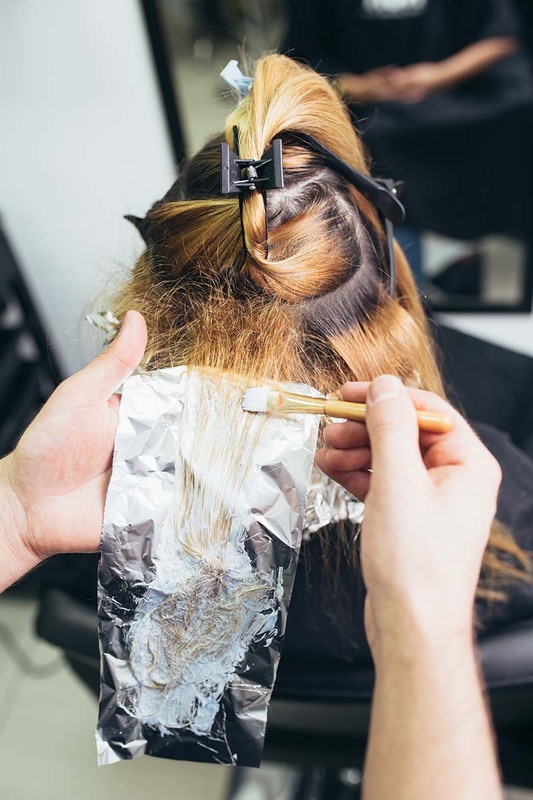 By reducing its environmental footprint with less inventory, while giving stylists unlimited possibilities to achieve their clients wishes, La Biosthetique color is a cut above the rest. It contains the lowest amount of ammonia of any professional color system, having 92% of its active ingredients being naturally derived, such as coconut oil, aloe vera, and chamomile that combine for unequaled results, vibrant colors, a healthy hair structure and outstanding shine and color brilliance. Our newest Micro-pigment Technology enables the color to produce extraordinary results due to a much smaller color molecule. Color treatments are long lasting and even help strengthen the hair structure while soothing the scalp!